Szapiel, Janina (Nowicki), age 96, of Milton passed away November 20th at home surrounded by her loving family. 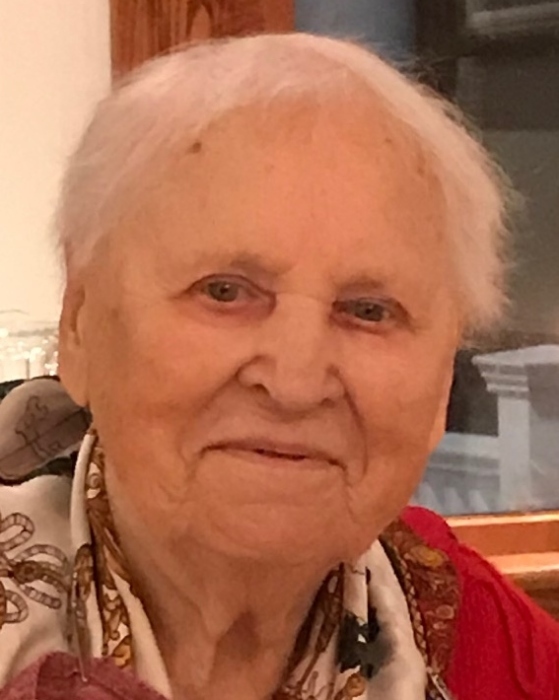 Beloved wife of the late Mieczyslaw Szapiel. Beloved mother of Valdemar Welz and his wife Ella of Milton and the late Roman Szapiel. Grandmother of Veronika, Maximilian, Antonina, Kyle, Kahli, and Alyssa. Loving aunt of Thomas Nowicki of Duxbury and Lila Lizotte and her husband James of Lakeville. Also survived by her daughter in law Rhonda of N.H. Visiting hours at the Alfred D. Thomas Funeral Home 326 Granite Ave Milton Friday 4-8 pm. Funeral Mass at St. Elizabeth’s Church Milton Saturday morning at 11 am. Burial Blue Hill Cemetery, Braintree. In lieu of flowers, donations may be made in her memory to the Polish Cultural Foundation 15 Marshall Rd Milton, MA 02186.